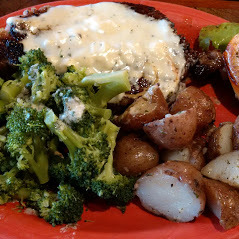 Blackened Ribeye with Gorgonzola creme sauce. Dave’s Last Resort, Lake Worth, FL. June 5, 2016.